The convenience of taking a water taxi to many of Chicago’s main attractions is a fun and exciting way to enjoy the area. Taxi service runs throughout the year, but primarily during the warmer months in the Chicago River. Many individuals use a water taxi for sightseeing, or special events. Others use the service as an effective mode of transportation to commute throughout the area without the congestion of street traffic. 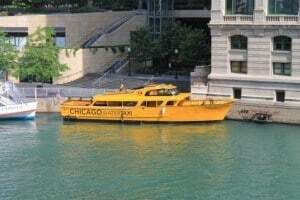 Even though a Chicago water taxi offers convenience for residents and visitors, the vessels can place commuters at risk for experiencing boating accidents with severe injuries. Many water taxis in the Chicago area are not equipped with seat belts. Because of that, there is no way to stop the momentum of commuters riding inside the taxi other than windows and seats. In many of our Illinois boat accident lawsuits, we hire expert witnesses and investigators to determine what entities are at fault for the accident to build the foundation of the claim to support the case. There are often unique challenges in developing an effective strategy for the case to receive financial recovery. As an experienced law firm that has expertise in marine-related accidents we use proven methods for unearthing challenging and convoluted business relationships that regularly arise in litigation where there may be: an owner, licensee or operator. This is important because water taxi companies pool insurance coverage through different carriers to muddy the waters and limit their legal liability in the event of an accident. Building a solid case typically requires preserving all available evidence, taking witness statements, photographing the vessel and scene of the accident, and gathering police reports and other essential data. Usually, investigators working for a skilled Chicago water taxi accident lawyer will make direct contact with local law enforcement and begin a parallel investigation with police handling the accident, injuries or deaths. It is essential to hire a skilled attorney right away to compel the water taxi operator to take a breath test. The test will detect any level of alcohol or other drugs in the system. Testimony given at trial or during an out-of-court settlement hearing by expert witnesses can help establish who and what is at fault for the injuries, wrongful death and property damage caused by the water taxi accident. 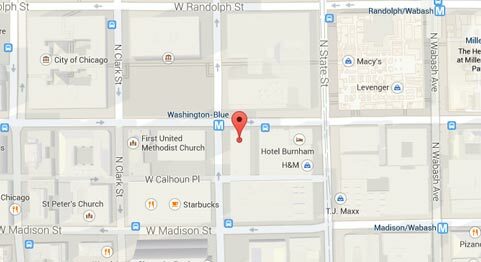 Injured In While Boarding, Cruising or Unloading on a Chicago Water Taxi? If you, or a loved one, are suffering injuries as a result of a Chicago water taxi accident, or other watercraft, it is essential to hire the skills of an experienced personal injury attorney that specializes in marine-related accidents. Call the Rosenfeld Injury Lawyers LLC at (888) 424-5757 to schedule and no-obligation initial consultation. The attorneys can provide legal counsel on the best way to proceed with a water taxi accident claim to receive financial recompense.